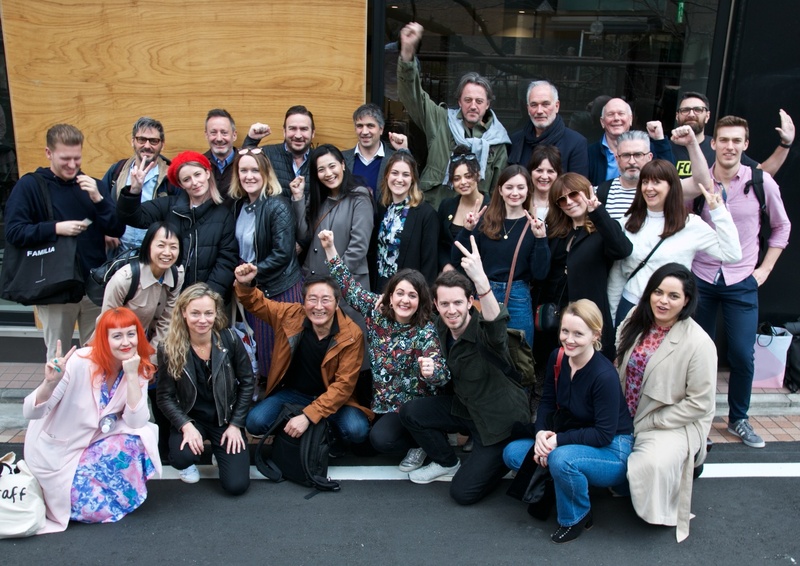 It was a great pleasure for us to take a delegation of twenty APA member companies to Tokyo last week for our Tokyo London Advertising Forum 2019 – and they made quite an impact! We had meetings with and presented to creatives, producers and management of the biggest Japanese agencies (Dentsu, at their 6,000 staff headquarters building, Hakuhodo and ADK) and presented to Shiseido, a major Japanese award-winning advertiser; discussing not only how Japan and the UK differ, but also where those differences have the potential to lead to creating incredible work. We also had meetings with the Rugby World Cup (Japan September 2019) organising committee and Wieden+Kennedy Tokyo, who were able to give us their thoughts on the Japanese industry from a global perspective, gaining their perspectives on the Japanese advertising market and where British craft fits in. We visited AO.I, one of the biggest production companies in Tokyo (with 440 staff) to understand how we might work with them. Production companies in Japan work as TV departments, with no agency production team as we would recognise, so the Japanese production companies are a source of work for APA members. We then ran an evening for smaller agencies and production companies at a venue in central Tokyo, which was sold out and enabled us through the delegates to showcase great work in commercials and creative tech and, again, address issues and encourage them to work with us. At all of the events and meetings, we asked our Japanese guests why they didn’t work with the UK more, so we could address their issues and provide them with answers. That gave us the opportunity to impress upon them the delegation members’ – and APA members’ overall – enthusiasm to work with them (which the 32-strong delegation conveyed) and to explain how we would meet the challenges they raised. They shared our starting point – that the commercials which APA members create and the expertise on offer are very attractive and could be taken as a given, and that addressing the issues they raised would be more productive. Typically, the issues were time, cost and cultural understanding, which I believe we effectively demonstrated we could address by reference to other markets who have similar issues, like China, where APA members now work successfully and regularly. Our next steps are to help the attendees build upon the impact that they and the Tokyo London Advertising Forum 2019 made, and we have plans in place for that. Thank you to the delegates for their enthusiasm and hard work, to the British Embassy in Tokyo, which hosted our opening reception, which was a great success with the senior agency personnel we invited, and to the Department of International Trade for their support. If you weren’t able to join us in Tokyo, we are happy of course to offer advice and contacts – as with the other markets where we have run APA marketing events, such as China and Korea.